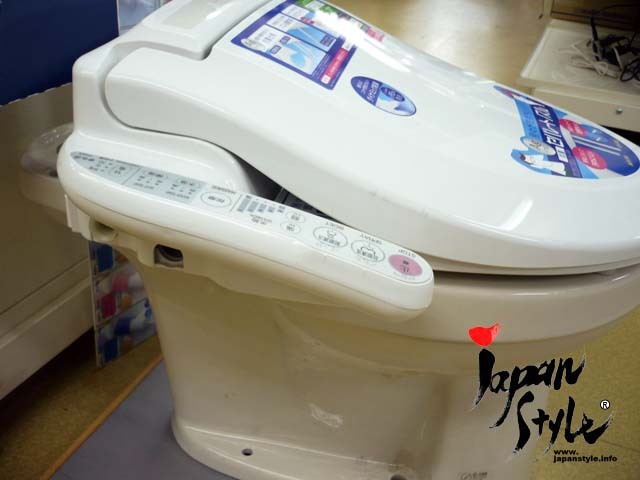 This is a Japanese warm water washing toilet seat (for Home Use). 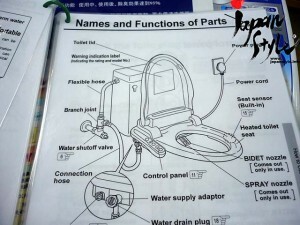 This product is designed for 220V and the instruction manual is ENGLISH. Japanese super toilets seem to be most advanced in the world. 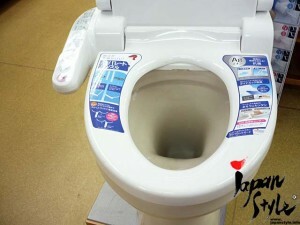 A warm-water cleaning toilet seat basically has a nozzle that squirts warm water to wash behinds. 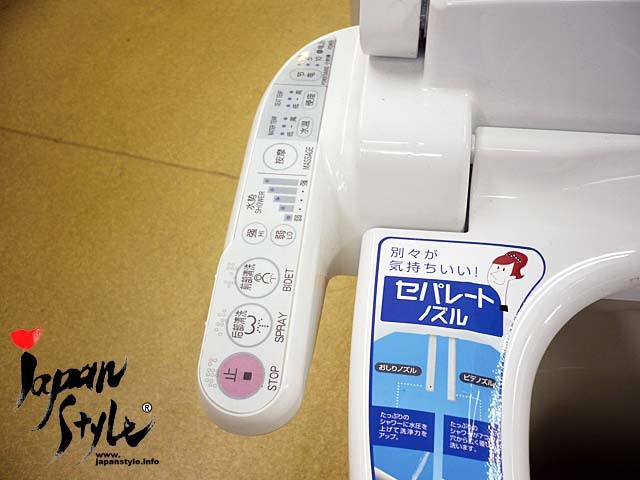 You can adjust the water pressure and the position of the nozzle with a controller on the seat or a panel installed on a wall by the seat. 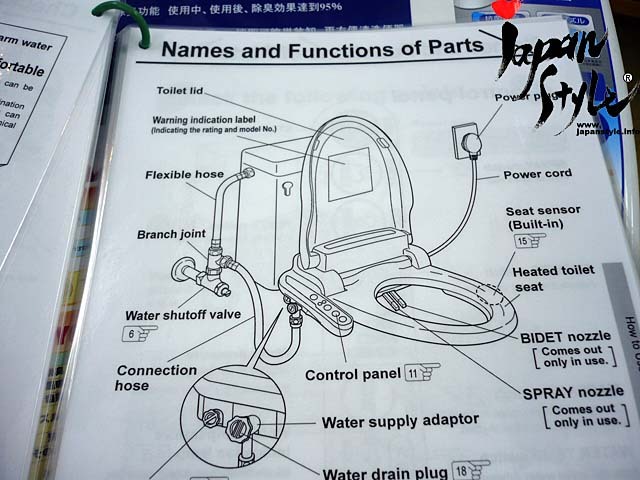 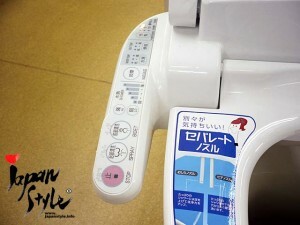 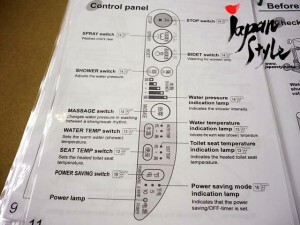 Also a warm-water cleaning toilet seat is equipped heater in the seat, so it does not get cold during winter.